With the whole area surrounded by agricultural land, unlike parts of northern Europe, this means it is teeming with plants and animals. 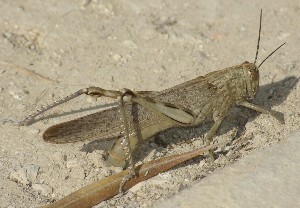 The olive groves are full of colourful flowers, a myriad of insects and other invertebrates, and a rich diversity of bird life. We were very fortunate (until someone knocked their nest down) to have a pair of resident swallows who returned each year to nest and raise their young. One year we were treated to a full day's wonder and entertainment as the female fledged her three offspring, one of which was very reluctant to leave the nest. Their first flights and the mother's insistent pressing of the reluctant one was a privilege to witness. 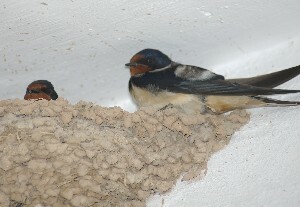 There are still many swallows around the terraces but none nesting in the porch. 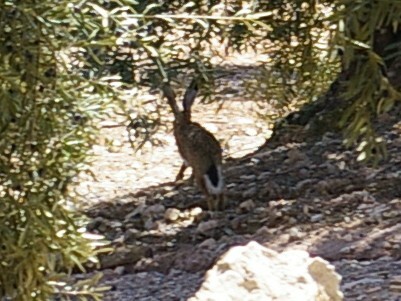 There are many hares throughout the olive grove (I am still trying to be quicker with the photography! ), a sight which is rare in the UK. 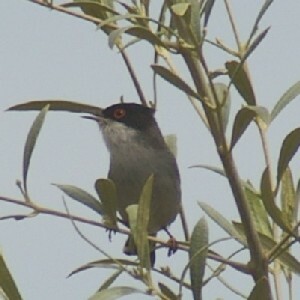 There are also many species of birds to look out for. 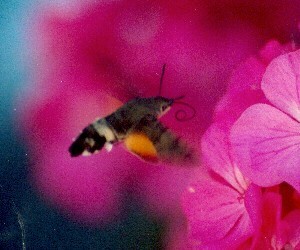 I have managed to capture a few on camera and continue to try. The Sardinian Warbler (right) was a visitor I was lucky to catch in the camera and finally I managed to get a good photo of the Hoopoe (below) which is widespread in the summer. There are many raptors which regularly hunt down the valley ... click here for latest sightings. There are also many insects we are not used to seeing in the UK. The Egyptian grasshopper is close to 100mm long and the insect which loves the geraniums (50mm long) in full bloom is one I have yet to find the name of.